No one sailed the ocean blue to discover it, but the wireless world is the new world we live in. Technology is a natural extension in the lives of most teenagers today. Being "plugged in sans plugs" is more than just a tool or hobby; it’s a habit that often encompasses our entire lifestyles. The cell phone and the teenager is a dilemma we love and hate. With busy schedules, peace of mind in potential emergencies and reliability, many parents today feel they don’t have a choice in whether their teen should have their own phone. The question then becomes, how to make it not just practical, but safe for young adults absorbed in the wireless world around them. There are a plethora of plan choices for today’s family. Some offer family plans where adding a phone is reasonably rated. 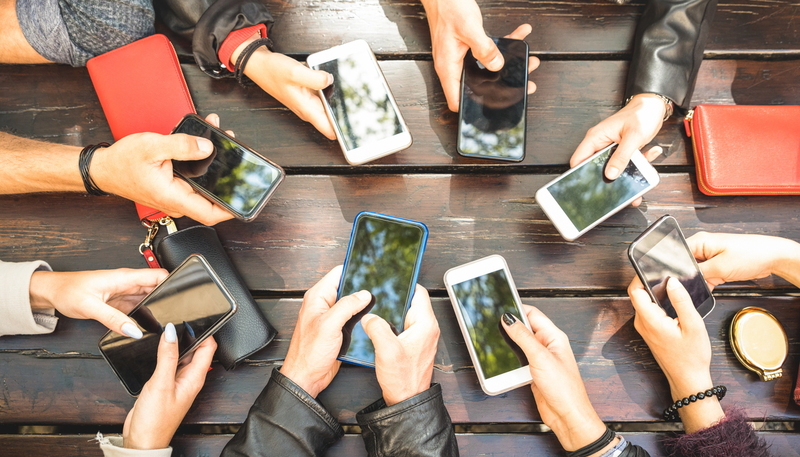 Teenagers, depending on their maturity levels, may or may not be responsible enough to maintain their own data usage, whether in the areas of talk, text, or data. Make sure you establish firm rules about what and how and when the phone will be paid for, as well as consequences for overspending, even in the area of costly apps. Teens often don't simply use their phones for talking. They access the Internet. They text message. They check Facebook. They play music and games. They take pictures and record video. Will your child have the ability to text? What about access to the Internet? Do extensive research about the issues of teenagers and web safety. Never assume your child couldn’t fall victim to the many dangers accessible through their phone. Don’t be afraid to set strong, firm boundaries for your child with their phone. Put these terms in writing. Explain what will happen if the contract is broken, including--depending on the gravity of the offense--permanent removal of phone privileges. A literal, written contract will not only instill responsibility and accountability for your teen with their phone usage, but it will give clean and consistent expectations and communication. Know what features your teen’s phone has. Most phones today are already equipped with a camera and video features. These can be extremely dangerous in the hands of not only your child but also their peers. Do not disregard the vital discussion of safety rules regarding picture and video uploading for your child. Even innocent games amongst teenagers can quickly escalate to criminal offenses. Peer pressure, immaturity and poor judgment can all play a role in the dangerous aspects of your teen’s camera and video features. Even middle school kids are getting caught up in “sexting” circumstances. Make sure your teen knows how to respond and report these kinds of instances immediately if they ever arise. 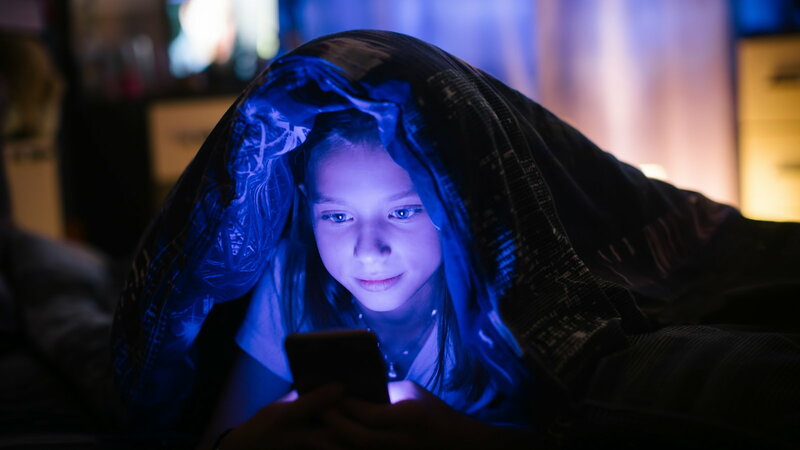 A harrowing aspect of teen trends in cell phones is their constant connection---even at night. Parents think it’s a matter of alarm use, but often it is much more than that. Connection with peers 24 hours a day, 7 days a week not only increases the anxiety and pressures of peer culture for your teen and unhealthy stimulated screen time, but it also leads to extremely dangerous lack of sleep. This can affect a number of other areas of life, including school performance and emotional stamina, leading to poor judgment and sleep deprivation. No phone after 9 p.m. is a valid rule and time stamps for texts and calls on cell phone bills can help to reinforce it. The constant peer culture connection also lends itself to the potential for text bullying. Make sure your child understands that any form of bullying, whether face-to-face, online or phone is unacceptable. Include language in their cell phone contract that makes it clear that your teen agrees never to send threatening or mean texts to others, and also that they will alert you if they are being harassed or bullied by someone via their phone, computer, or another device. We’ve all seen the people who don’t know how to put their phones down. With youth today, it’s an entire generation of obnoxious trends toward avoiding eye contact, real interaction, manners, and more. Make sure your teenager knows that along with the responsibility for handling a cell phone comes the etiquette of understanding when it is inappropriate to be on one. In church, at appointments, in restaurants, one-on-one or quiet settings, using their phones properly in public should be a steadfast rule. Your teenager is only just learning the rules of the road and the handling of a vehicle. Combine their distractibility with their lack of grasp for permanent consequences, and there’s a recipe for disaster. Adhering to the laws of the road is just the tip of the wireless iceberg. A 2005 Ford Motor Company study showed that teen drivers are four times as distracted by cell phones as are adult drivers. Teenagers reportedly failed to recognize 50 percent of the potentially dangerous occurrences on the road around them while using cell phones behind the wheel. Teens not only gab, but they also text while driving, and it’s a deadly combination. Above all other rules, make sure your teenager realizes the life and death risks involved with cell phone usage and driving. It can wait. Their life and the lives of others on the road are worth it. As long as your teenager is under legal age, make sure that you continue to have access to all their passwords, codes, and account information; not only for their cellphones, but also for all of their online activities, like e-mail accounts, Facebook, Instagram, etc. They do not have the right to privacy in these areas as long as they are minors in your custody, under your guardianship and care. Transparency is such a crucial portion of keeping your child on track with healthy technology habits and allows you to make sure they are using things appropriately and according to the guidelines they have agreed to. Make sure you are doing periodic checks through their activities to ensure accountability.